Retail & Commercial Archives - Page 2 of 6 - Tait & Associates, Inc. The Redlands Packing House District is set to be a premiere shopping center at the entrance to downtown Redlands, CA. 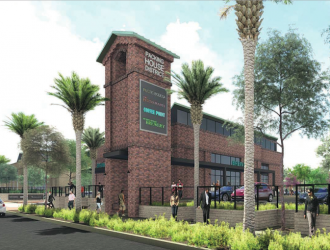 It is an 88,075 square-foot development featuring stylistically historic brick building packing house design with a variety of retail and restaurant tenants, including Sprouts Farmers Market as an anchor. The center is in close proximity to other main Redlands attractions, such as the up and coming Krikorian Theater. TAIT provided site, civil, and survey engineering for the District from concept to completion. 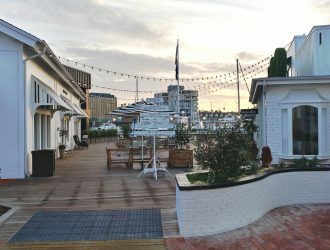 As part of the team for renovating the historic Lido Marina Village, TAIT provided all site, civil, and survey engineering for this DJM Capital Partners owned property in the coastal city of Newport Beach, CA. The development features a boutique style mix of retail, creative office, and restaurant space over-looking the harbor. The 116,000 square-foot complex was refinished to maintain the charm and local tastes of the community, while offering updated infrastructure, landscaping, and new tenants to revamp the retail and lifestyle landmark. 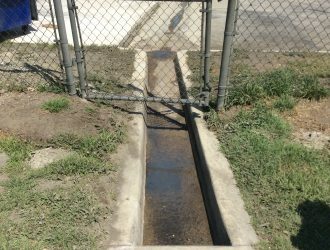 TAIT Environmental Services, Inc. prepared the storm water pollution prevention plan (SWPPP) for truck parking facilities as a requirement for the Industrial Storm Water Discharge Permit. TAIT also performed employee training for monthly site inspections, and completed the storm water sampling from the outfalls at each site during the Qualifying Storm Events (QSEs). TAIT’s Qualiﬁ ed Industrial Storm Water Practitioners (QISPs) will assist the client with reporting and sampling requirements going forward. TAIT Environmental Services, Inc. TAIT was hired by Awalt Wholesale to investigate the source of a light aqueous phase liquid (LNAPL) that was discovered in a monitor well at the truck stop. TAIT employed a free product skimming system to remove as much as possible of the ﬂoating LNAPL. We also employed mobile dual-phase extraction (MDPE) to remove additional vapor- and free-phase product from the site. 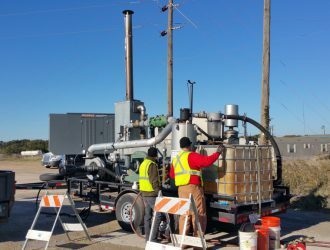 Over 100 gallons of free-phase fuel was removed from the groundwater. © 2019 Tait and Associates, Inc.